The total land area transacted in Bucharest during 2017 was of 116 ha, the highest volume recorded in the last ten years. In terms of value, land transactions amounted to € 216 mil., which represents an increase of 69% compared to the previous year. 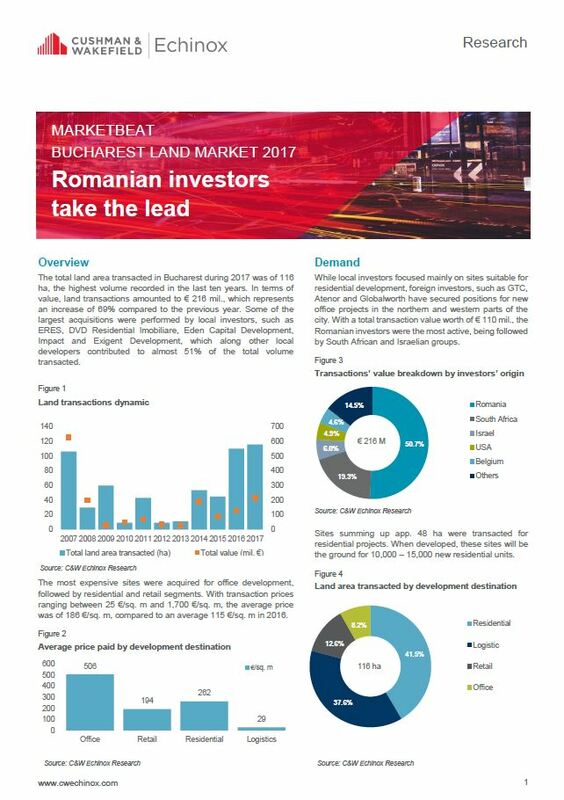 The perspective on the Bucharest land market remains positive, but the number of large sites inside the city, with utilities and public transportation nearby started to lessen. The north – west part of the city can absorb a new major retail scheme, several sites being available in the area. In the same time, big box operators are still looking for options to increase their presence in Bucharest.